History chronicles that Merisi da Caravaggio was allegedly as an aggressive artist. In 1603, he fled Rome after assassinating a man. Compared to other famous artists Caravaggio lead a very abbreviated professional life 15 – 17 years. Caravaggio’s iconic style depicts interaction and emotion of relationships, in an amazingly realistic presentation. The Baroque style of art was inspired by Caravaggio’s tenebrism style, which was originally criticized by critics. Wikipedia also reports that Caragvaggio died at the age of 38. 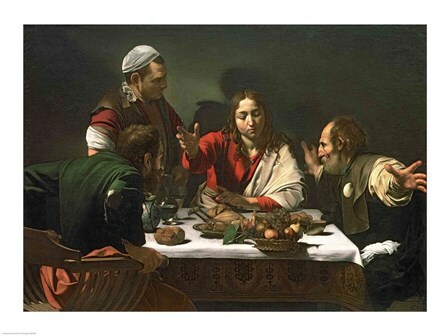 Although some of the famous artists’ works depict religious settings, Caravaggio was allegedly void of spiritual empathy. In 1606, a church rejected hist work, because he commissioned an infamous prostitute for the model of the a Virgin. (1) Wikipedia “Merisi da Caravaggio Biography. (2) Jules Janick, 200? “Caravaggio’s Fruit: A Mirror on Baroque Horticulture”Department of Horticulture and Landscape Architecture Purdue University.